D-Bundle is a Fortran95 implementation of the diagonal bundle method for general, possible nonconvex, nonsmooth (nondifferentiable) minimization. The software is free for academic teaching and research purposes but I ask you to refer to the reference given below if you use it. - main program for D-Bundle. - subroutines for D-Bundle method. To use the software modify tdbundle.f95, initialization.f95 and objfun.f95 as needed. 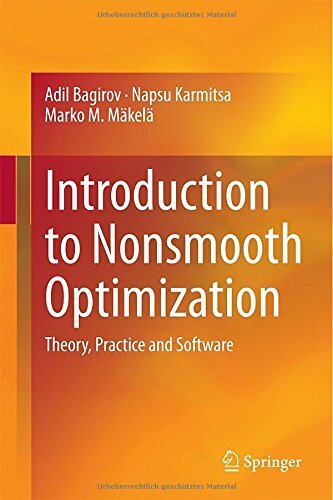 N. Karmitsa, "Diagonal Bundle Method for Nonsmooth Sparse Optimization" (author version), Journal of Optimization Theory and Applications, Vol. 166, No. 3, pp. 889-905 2015. DOI 10.1007/s10957-014-0666-8. The definitive publication is available online at www.springerlink.com.